Poor housekeeping creating trip hazards. 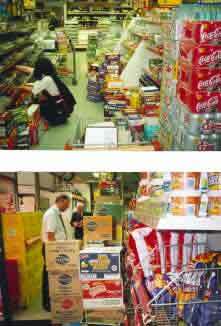 A convenience store was prosecuted in January 2002 following a tripping accident to a customer in September 2000. The customer tripped over newspaper plastic binding (used to hold the newspapers together), causing an injury to her hip. She was unable to work for 5 months. The management of the store had previously been warned about housekeeping issues and were in fact served an Improvement Notice. The company were fined over £4,5000 in the Magistrates Court.